On the corporate side, Mr Guan argues Moody’s Investors Service, Standard & Poor’s and Fitch Ratings – the three companies that dominate the global credit rating industry – have become too close to the clients they are supposed to be objectively assessing. But even if the company can overcome reluctance from US regulators it may have a hard time convincing international clients that it is more objective than its western peers, especially considering the overtly nationalistic tone it strikes at home. Is the US banking system insolvent? Of course, but so is the Chinese banking system, the UK banking system, and the European banking system. Recent "stress tests" show European banks are generally in good shape, but no one with an ounce of common sense believes the report. Likewise, does anyone really think China's banking system is in good shape, anyone other than Chinese rating agencies? The last paragraph in the above article tells the story of one corrupt rating agency citing corruption in other rating agencies. In other words this is nothing more than a "pot calling the kettle black" type of story. The way to fix the rating agency problem is to end government sponsorship of them. If Moody's, Fitch and the S&P got paid on how accurate their ratings were instead of how much volume they did, the problem would quickly go away. No one can be trusted, the entire system is insolvent once the trust evaporates then the real fun and games will begin. Still it's all contained and losses don't matter. That's the one I posted the other day! I recommend this book. 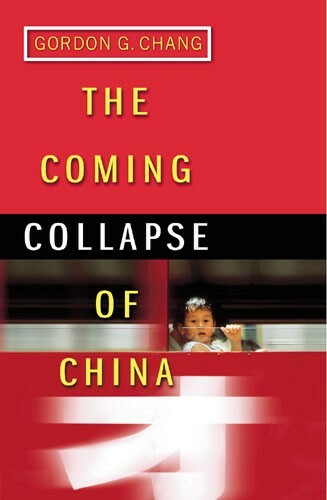 Turns out China has been QE'ing for decades. State would order State Owned Banks to bail out State Owned Enterprizes . . . which make nothing for a market they just produce more and more for the sake of it. I wonder if that's why the Chinese wouldn't float their currency normally bacause they'd have to open up the books, dunno might be talking cack here.